Vinyl records resurgence… we know, it’s back with a vengeance. It has been back and booming for several years now. However, some of us are old enough to have held on to (okay, hoarded) our vinyl records since we were but wee children, way back before ‘stoner rock’ was named a genre. Indeed, some of us are ancient enough to remember finding (okay, stealing) our parents’ spare change to go buy a 7″ vinyl single for four quarters when we were kids. Still having most of those “45s”, some with their 99¢ stickers intact, and all my price-nostaglia aside, when new vinyl records started to return to the world full-force almost a decade ago, we record hoarders became enthralled again. There were eventually several vinyl subscription options opening up from trend-hopping entrepreneurs. I tried a few of them, I canceled most of them. While I do still maintain one or two subscriptions, I’ve never been completely thrilled with all the releases or genre options. Some were great, but a bit too costly to keep long-term. Some were completely overpriced crap, really. Until now, that is. Blues Funeral Recordings has sprouted an idea. Many of us vinyl record enthusiasts who found out about it think it’s a beautiful idea. Hope springs eternal, right? But before I get ahead of myself, let’s find out who Blues Funeral Recordings actually is. It’s the somewhat recently launched label of Jadd Shickler. Who? Oh, no one in particular, some guy who is an original founder of MeteorCity – the label that put out seminal releases from Nebula, Unida (with John Garcia of Kyuss), The Atomic Bitchwax, The Obsessed, Truckfighters, and more, all under that guy’s guidance. Yeah, him. Then he sold it around 2008, and took some time to contemplate life, or lollygag around, go hiking or something oddly strenuous and healthy, or simply needed a different line of work, who knows. One tends to do strange things when working in the music world long enough and we may have an inexplicable urge to be a society-blending person for a spell. We don’t know why this happens, we just roll with it. Thankfully, Mr. Shickler returned to musicland in 2016, joining on with Magnetic Eye Records. Yeah, them. In thinking about returning, Shickler wanted to try something besides a traditional label model. Envisioning what he’d want as a fan himself, Jadd conceived the idea of a curated series of records, one-off releases from an array of heavy / stoner / doom bands both notable and unknown, delivered exclusively as a subscription at regular intervals throughout the year. The records would be crafted to appeal equally to both diehard fans of the style and dedicated collectors, with interconnecting cover art and groundbreaking design recalling archival comic book sleeves. Two years later, and the idea has taken shape in the form of PostWax, now enveloped within new label Blues Funeral Recordings and pushed to ambitious heights with the addition of world-class creative Peder Bergstrand to the team. In assembling the first year of PostWax releases, the goal was to pull together a dizzying cross-section of phenomenal recognizable bands and impressive newcomers, such that subscribers could reliably sit back and wait, confident that everything coming their way throughout the year would hit that sonic sweet spot. PostWax year one will include exclusive new releases from Brooklyn metalgazers SPOTLIGHTS, apocalyptic doomsters DOMKRAFT with a guest appearance by MARK LANEGAN, and desert rock progenitors LOWRIDER, among others, with 7 records total set to land during 2019. The series kicks off in February 2019 with all-new music from ELDER. For their release, Elder made a stop in the midst of a European tour last month, entering a Berlin studio for three days of focused jamming to channel the mid-tour high. Their goal was to explore a different side of the band through a change of scenery, with lots of psychedelic ideas flowing and no experiment too weird to try. The result is something very different than the band has ever done, a perfect way to launch something as unique as PostWax. “In an era when music and arts programs are being increasingly eliminated by school budget cuts and kids are learning about music from Kidzbop and Tik Tok, we want to help make sure kids still have the chance to learn how to play and write real rock music on real instruments. The Kickstarter for PostWax can be found [HERE], with plenty of details about the project to outline what subscribers can expect. Multi-payment subscription options are also being offered via the label at bluesfuneral.com. Smashing their initial goal within 36 hours of going live, the Kickstarter continues until December 9th. After researching into the PostWax offerings on the Kickstarter and the Blues Funeral label page, the majority of my curiosity was satiated. It came >this< close to fulfilling everything I wanted to know, with one exception. Why these bands? What sparked the inclusion of these particular artists and groups? This is not a complaint, I’ve been a longtime listener of most of the artists mentioned above and already own several releases from many of them. Yet, my never-ending curiosity took over. Instead of stifling this, I simply asked Jadd Shickler. An interview with one question and one answer. It was the best possible response one could ever hope for. RIFF RELEVANT [Leanne]: How/when/where did you decide on this first round of bands to include? Was it collaborative, did you just wing it? Most of the Kickstarter and press announcement has your history and the ‘why’d you start this’ – but I didn’t see why you chose the artists here. 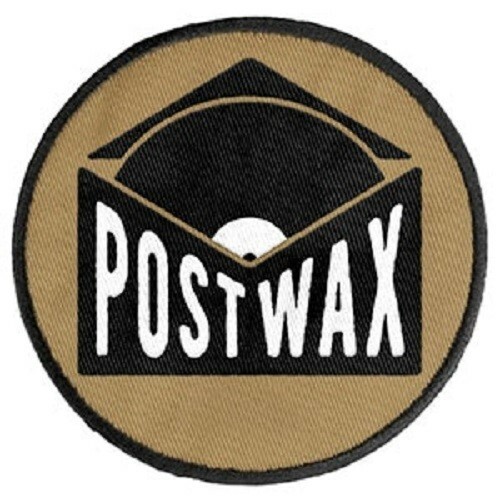 That feeling when you put your faith in the hands of someone who’s a gigantic fan of great music, to deliver you something awesome, unexpected, and full of both stuff in your wheelhouse and complete left-field surprises… from the beginning, I thought PostWax could be like that. Domkraft is a band I feel close to, personally and musically, because they’re the first band I worked with from start to finish on an album release after joining Magnetic Eye Records. Their sound is also deceptive, dark and churning and powerful, but with such subtlety and thoughtfulness. I mean, song architecture and soulfulness is what made Pink Floyd masters at what they did, and I honestly don’t think there’s another doom outfit with songs as carefully mapped out and yet as completely organic as Domkraft’s. Add to all that the opportunity to help put them together with Mark Lanegan, one of the greatest living rock singers today, and I’m probably wasting your time explaining why this felt like a good idea. With Elder, I was interested in them musically, for reasons that are probably obvious to anyone. They’ve got a boundary-pushing musical aesthetic that, as a fan, makes you want to hear whatever they’ll do next, pretty much no matter what it is. Part of the idea of PostWax was to push beyond what might be expected, and Elder embodies that ideal, so I wanted them involved. Daxma‘s avant-garde doom simply blew me away the first time I heard them. One of my absolute favorite things in life is to expose friends to new bands and make fans out of at least some of them, and Daxma was my first choice to do that. If you know the YOB song “Marrow,” that song is a benchmark for me, for the transcendent power of the best melodic doom. I had an evening last Winter, listening to Daxma’s “Our Lives Will be Erased by the Shifting Sands of the Desert” that was a singular experience at that level… soul-wrenching melodies, annihilating guitar tones, simultaneously crushing, yet uplifiting. I had to invite them. Besvarjelsen‘s drummer, Erik, is someone I’ve known since 1998, when I released his old band Dozer on MeteorCity. We even spent a month on tour together in 2003, but I hadn’t talked to him in ages. He got in touch early this year, to tell me about the new band he was playing in and I took a listen. Right off the bat, hearing the original drummer from Dozer, a driving riff-rock band, playing witchy, occult doom. It was stunning. As it happens, though, witchy occult doom is right up my alley. They have a phenomenal singer and massive, magical energy to their songs, so while Besvarjelsen might be a first time listen for a lot of people, I’m anticipating lots of converts! I saw Spotlights last year with The Melvins and dug what I saw – even more so when I dove deep into their record, which is kind of metalgazey and post-metal in all the right ways. I wanted to be sure PostWax would appeal to fans of a variety of our beloved heavy offshoots, not just straight-ahead stoner metal. Spotlights bring this driving spaciousness that felt like a perfect counterpoint to someone like Elder, but not so far out there that it wouldn’t connect. I can’t wait to hear what they’ll do. Lowrider was the first band I ever signed to MeteorCity, and arguably the most beloved, making the fact that they only released one flawless EP and one truly classic desert rock album all the more frustrating to legions of fans, me included. I stayed in touch with the band’s main architect Peder over the years, following his newer band, I Are Droid, and always talking in the background about the future for Lowrider. When I got serious about PostWax, Peder actually ended up becoming my creative partner on the project, and as we’ve worked together on design ideas, suggestions of bands, etc. There was always that question of, will Lowrider be part of this? Lowrider fans have been waiting a long goddamned time for something new, so I think there’s been a bit of pressure around whatever music they might make next. In the end, they decided not to let another year get away from them. Needless to say, it’s a big deal for a whole world of fans that they’ll be part of PostWax. There’s still one more band to reveal, but the bottom line is that each band was chosen in the way you’d pick exactly the right song to follow the previous song when making a mix tape or CD for your best heavy-music listening-friend. So I hope everyone who signs up for PostWax year one feels like they’re listening to a series of records someone assembled specifically for them… because we did. Thank you, Jadd. My PostWax subscription was already confirmed five minutes before I asked him this question, but I still had to ask. Now you might understand, too. Again… the Kickstarter for PostWax can be found [HERE], but you only have until December 9th to join on. Multi-payment subscription options are also being offered via the label at bluesfuneral.com.